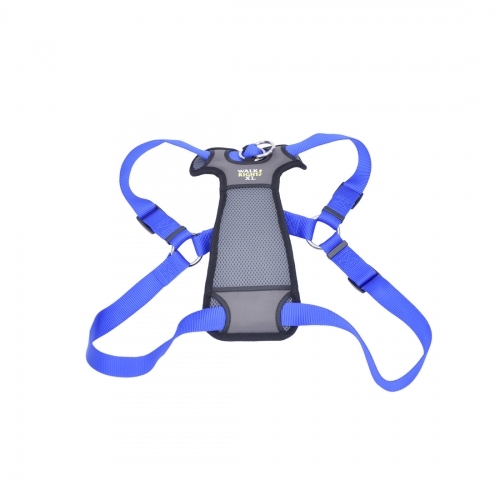 Enjoy walking your dog with our dual-connection Walk Right Front-Connect Padded Dog Harness. This dog harness is designed to stop your dog from pulling while walking. The front connection guides your dog by the chest strap and naturally redirects its attention without causing neck strain. Available in SML (16-24"), MED (20-30"), LRG (26-38") and XLG (27-43"). Once the dog is walking right, the optional back connection of the harness can be used.